Notes: Work on the Derwent Valley Railway started in 1865 and the line was opened on 2nd December 1867 Four viaducts were constructed and a deep, 800 metres long cutting was dug near Rowlands Gill. The Nine Arches Viaduct was one of the major engineering feats of the railway; it is five hundred feet long and was built because the Earl of Strathmore would not allow the railway to pass through the Gibside Estate. 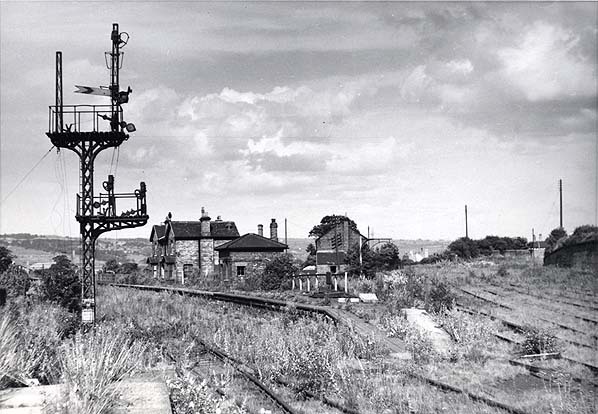 Stations were built at Blackhill, Shotley Bridge, Ebchester, High Westwood, Lintz Green, Rowlands Gill and Swalwell. The line was single track between Blackhill and Lintz Green and double rack between Lintz Green and the junction at Derwenthaugh. At its peak in 1914 the railway was carrying over half a million passengers a year with a regular goods traffic of timber, bricks and coal to Newcastle and iron ore to Consett. The line also has a gruesome claim to fame in 1911 Lintz Green station was the scene of the inexplicable murder of the stationmaster by an unknown gunman the crime never solved. By the 1920's, buses started to take the passengers. Freight fared better, continuing to deliver to collieries, coke-ovens, brickworks, paper-mills, dairy farms and the livestock mart at Blackhill, but even the freight traffic declined after W.W.II. 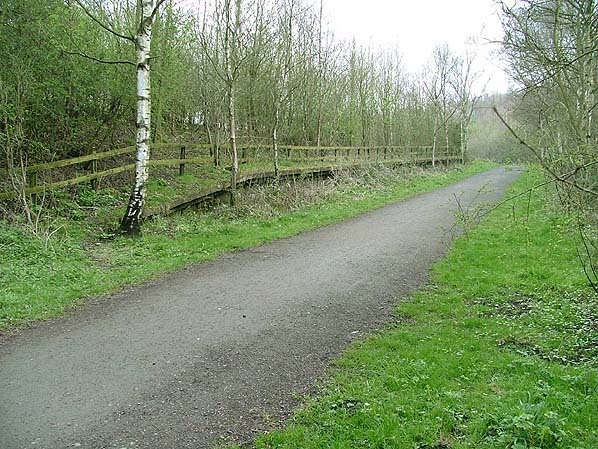 The track was lifted in 1964 and for many years little was done to the line until Durham County Council developed it as a country park. The viaducts and bridges were repaired and the trackbed has now become an excellent country path and cycle route. At Lydgetts Junction near Consett, the Derwent Valley route links with the Lanchester Valley Railway Path, Waskerley Way, and the Sustrans Consett-Sunderland cycle path, the latter two form part of the C2C (Sea to Sea) Cycle Route. For more information about Swalwell Station see the Swalwell web site. Route map drawn by Alan Young. Swalwell Station in the 1960's. 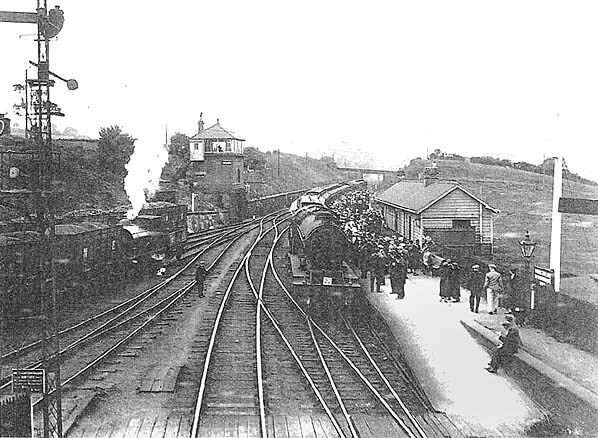 The platforms at Swalwell were staggered, the end of the platform shown in the picture above can be seen bottom left. Axwell Park Colliery sidings can be seen to the right.